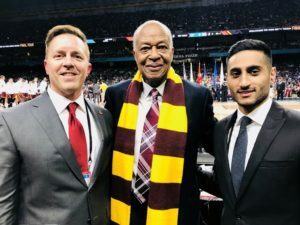 Hanako Maki | The PHOENIX Seniors Donte Ingram and Ben Richardson are the only two players to have been at Loyola for all four years and will graduate as one of the winningest classes in history. 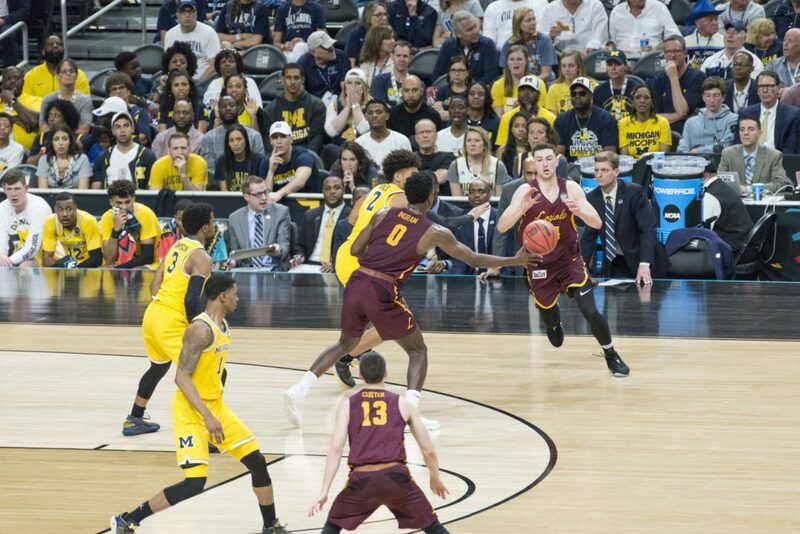 The Loyola men’s basketball team (32-6, 15-3) turns its attention to the offseason after a season-ending 69-57 loss to the University of Michigan in the Final Four of the NCAA Tournament March 31. It was a historic year for the Ramblers. They made the NCAA Tournament for the first time since 1985 and made the Final Four for the first time since 1963 — the year they won the national championship. Seniors Donte Ingram and Ben Richardson are the only two players to be with the program for all four years of their college careers. Ingram said he’s happy to see all his hard work pay off. With Wichita State University leaving the Missouri Valley Conference (MVC) before the season, the league was considered wide open. Loyola was picked third in the MVC preseason poll, but went 15-3 in conference play to win its first MVC title and its first conference title since winning the Midwestern Collegiate Conference in 1985. In November, Moser told The PHOENIX he saw the Shockers’ departure as a chance for his team to fill the void. After starting the season 8-1, Loyola upset then-No. 5 Florida 65-59 on the road Dec. 6. That game put the Ramblers on the radar and more fans and media started paying attention to the team. However, Loyola lost redshirt junior guard Clayton Custer to an ankle injury in that game. Custer returned to the lineup Jan. 7 after missing five games due to his injury. After going 2-3 without its point guard, Loyola went 21-2 after Custer’s return. The 2018 MVC Player of the Year said he intends to take his remaining year of eligibility next year and he’s proud of what the team accomplished this season. Richardson is Custer’s best friend and has been by his side since they were in third grade — with the exception of their first-year seasons when Custer went to Iowa State University and Richardson was at Loyola. First-year center Cameron Krutwig was the 2018 MVC Freshman of the Year. After the game, Krutwig said the future is bright for the program. The Ramblers had five players average in double-digit ppg for the first time since the 1963 national championship team. Moser said his team’s depth didn’t happen overnight and he credited the players for believing in his philosophies. Loyola is expected to return 10 of its 15 players to the roster next season. Moser has signed three recruits for next season and has one scholarship left for incoming first-years.